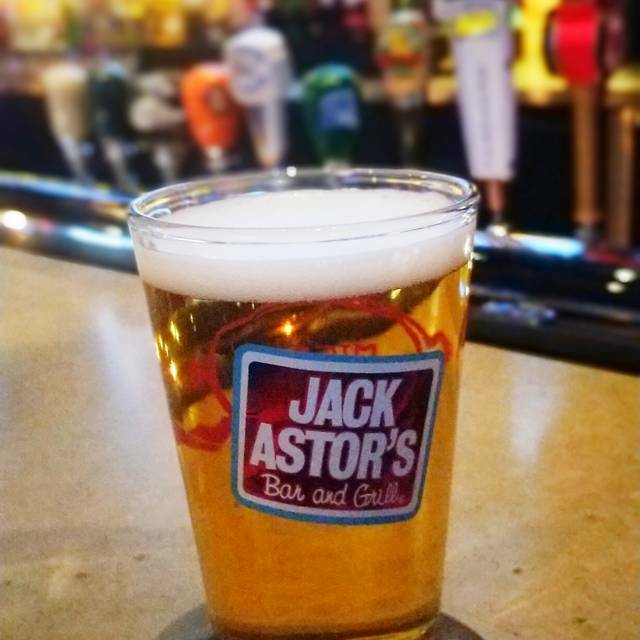 You must make reservations at least 5 minutes in advance of the time at Jack Astor's - Toronto (North York). always a safe bet going to jack astor's. this time around, the waitress was a bit cold and seemed annoyed that my younger cousins (kids) were practicing their ordering skills; this was reflected in my tip. i expect all waiter/waitresses to have more patience with their customers. Noise level made it difficult to talk. Service was less than mediocre. Excellent central location. Anthony's service was excellent. I will be back soon. the burger i had was over cook and burnt! that that was usual, the worst was we were a group of 9 some of us didn’t even get to start eating and the waiter already brought out our cheque when the food was brought out as if they were trying to get rid of us. what happened if we want to order dessert after???? just very bad customer service this time around! and we frequent this place as it is close to our work place and always came in group of 6-10 people. shut down. What a disaster. Totally incompetent staff from the top down. I choose this restaurant because it was very close to the theatre we were attending that evening. The wait staff was pleasant and attentive. Only minor issue was, because I ordered an Asian dish with rice, the waitress should have asked if I needed soy sauce as soon as I received my order. Instead I had to hail her down and then waited while my rice was cooling down before I received the sauce. Excellent as expected. Bit of a chain, but the service is good. Dinner out with the kids. Lots of selection for kids, friendly staff. Would definitely go back. I used to be a regular at this Jack Astor’s but it appears management changed a while ago and the service has taken a dive since then. On this occasion, the hostess couldn’t figure out how to seat the only family ahead of us. It took about 10 minutes before we could be seated and there was so many empty tables available - I think it was a staffing issue. Then our server did the minimum. Lastly, I ordered the curry chicken as I always do and the chicken portion was significantly less than normal. I asked about it and she advised that the portions are premade... so I guess Jack Astor’s or this location has cut down on their portions but raised the prices. Sadly, it’s not such a fun place to go to anymore. Fresh healthy food options that were flavourful. Server was very good, attentive and got the orders correct I believe except for the buddha salad ordered with no dressing and came with no dressing or chicken. Could have been a kitchen over site on a special order. An adjustment was made by server through management. Fantastic, friendly service. Everyone in our party for six enjoyed their dinner. Great location...across the street from the Toronto Centre for the Arts. I usually enjoy the food there but this time too much salt fell in the food... the service however compenated for it... I will be back but won't take the nachos again for a while. 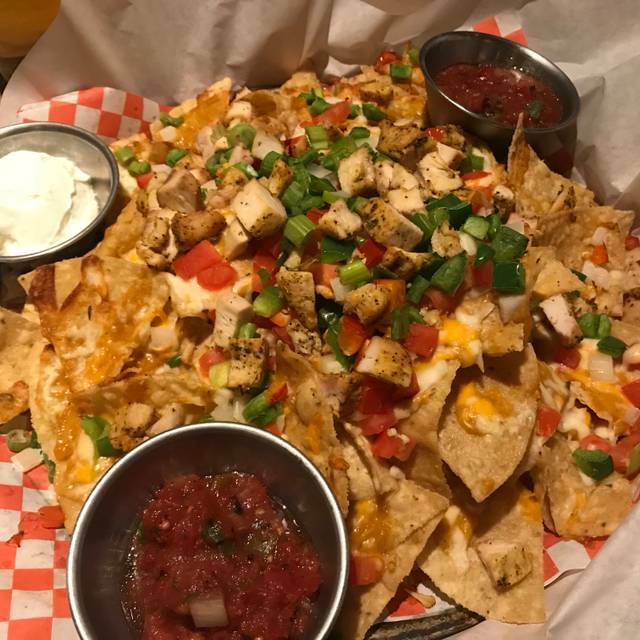 We live in the neighbourhood and enjoy dinning at Jack Astor's. Love the decor, food and the staff are friendly, courteous and efficient. It is worth the money spent and we would definitely recommend to our friends and family. Good spot for entertaining family and friends. Keep up the good work. Thank you. Food was great as usual. I had the Mexican salad bowl. For me it's the best thing on the menu. This review would be higher if Jack's had honored our reservation for a table in the lounge area, as a group of adults, instead of putting us on a spot-lit table in the middle of several children's birthday parties in the family dining room. Service was good; the waiter went out of his way to be courteous. 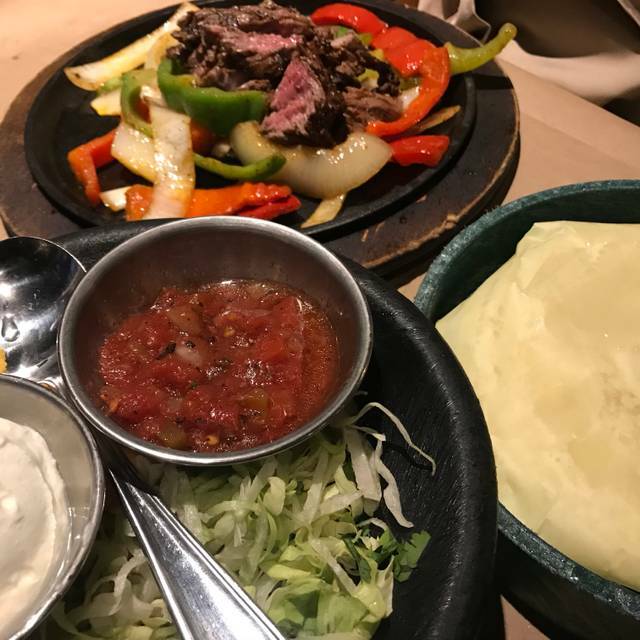 Food was significantly below the usual quality level, but still decent -- maybe it was slow and less good than usual because it was super busy, but this location does tend to be understaffed on big nights more often than not. Could still recommend the place, since the service carries between acceptable and pretty good, just depends on how busy they are and how lucky you are. Staff is usually pretty polite and helpful too, despite being overworked. Not my type of place, someone else chose it. I tend to go places that are unique, since this is a chain it’s cookie cutter. I want something different each time when travelling. Jack Astors is one of those places you can go to everyday and still never get bored. 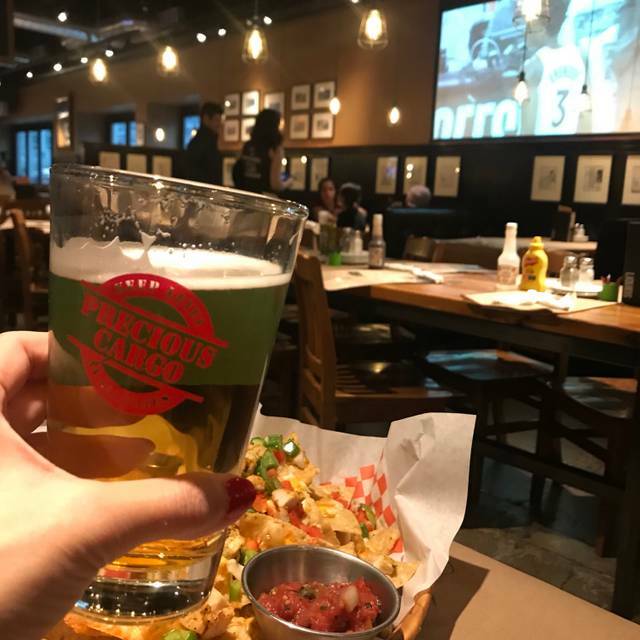 Their giant screens and great beer selection leaves little to be desired. 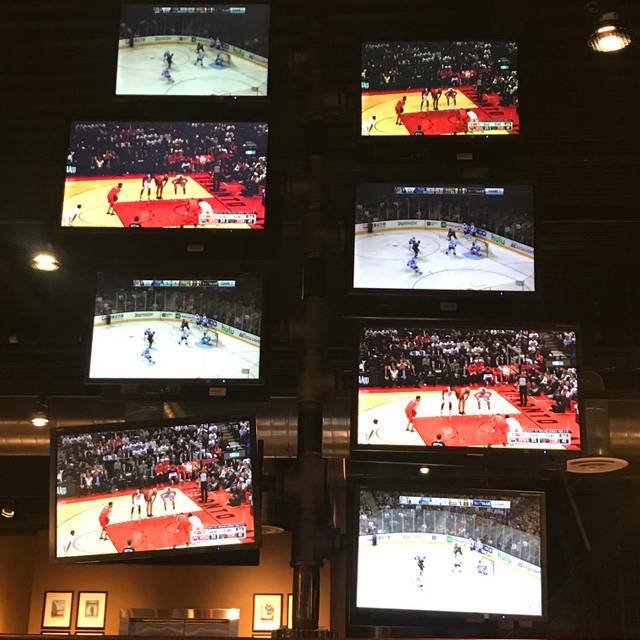 One of the best Canadian sports bars out there for sure ! Without a doubt the best management and service I have seen in Toronto! We visited there for the FIFA finals, and we had reserved it way in advance (using open table). At the day, even with the line up, the manager was very polite and professional all 3 times that I called to say we are outside. At the end she came and called our name. Great service! Horrible service. Food not as requested. Spent all evening trying to find our waiter then having to get someone else for drink refill. Food cool not hot. I requested seats near a tv during the basket ball finals, not only did our waiter lie and say there was no sound we had to watch it on small low contrasted screens. As we were leaving several seats were empty with huge screens and the game was playing on the speakers . Not happy if your accepting special requests then they need to be honoured not ignored. Richard was pleasant and attentive. It was awesome! They did the best! Thanks! They totally ignored our booking and didn’t let us sit where we wanted. There was only 1 server and the hosts were unapologetic. Basically they were severely understaffed. Went back to JA after a long time. The service and food quality seems to have sunk to a new low. Basic bar food like wings and calamari were pretty bad and it took more than half hour to get our first order and even longer to get the second order. The whole production of the put on with the server tossing the wings in sauce at the table is meaningless when the wings are badly done. We could not get enough wine glasses for our group of 5 for the bottles of wines we ordered - took a few reminders and 45 minutes or so to get the wine glasses. The staff were never around and the manager came round once and dish d out a lot of attitude. Maybe she was having a bad night but it made the whole evening quite unpleasant. Saw several new menu options. We tried two of them and they were both delicious. Service was great, our drinks were refilled several times. Waitress was fantastic and most of the food was good. Desert took a while to come out and was over cooked and hard to cut through. The noise level was much too high. We were there early so the volume was tolerable-- until they turned it up. Great selection of beer - 20 to be precise. We had Canadian pitchers and the chicken fingers seasoned with Buffalo sauce. Laura Lee, our waitress, was friendly and responsive. We're definitely going back. Service was slow, and took a long time to get our food which did not taste the greatest. Food was terrible. Hard pasta, undercooked meat, and pits in the guacamole. Jacks is always a good idea. I love this location because it's a busy area and they're patio in the summer has the best sunsets. We were greeted right away by the hostess and our server. Although it was a little busy all of the staff seemed to be enjoying their job. Our server was very pleasant, efficient and we never had to ask for anything. She did a great job at anticipating our needs. She presented my mother with a birthday brownie without creating a lot of attention (which we did not want) thus making the visit still special. The only negative thing I would mention is that there were a few people at the bar who seemed to be regulars who were fairly loud and using offensive language. I think the bartender could have done a better job keeping them at bay and respectful of the other guests at the bar. Great restaurant, however, the 7 oz. steak that was ordered as 'medium rare' came more like a 'medium' and was pretty dry as a result. Service was terrific.